Stage 7 cruises along Calabria’s Tyrrhenian Sea from Pizzo to Praia. After a final three-kilometer stretch along the waterfront, the stage will likely culminate in a bunch sprint. 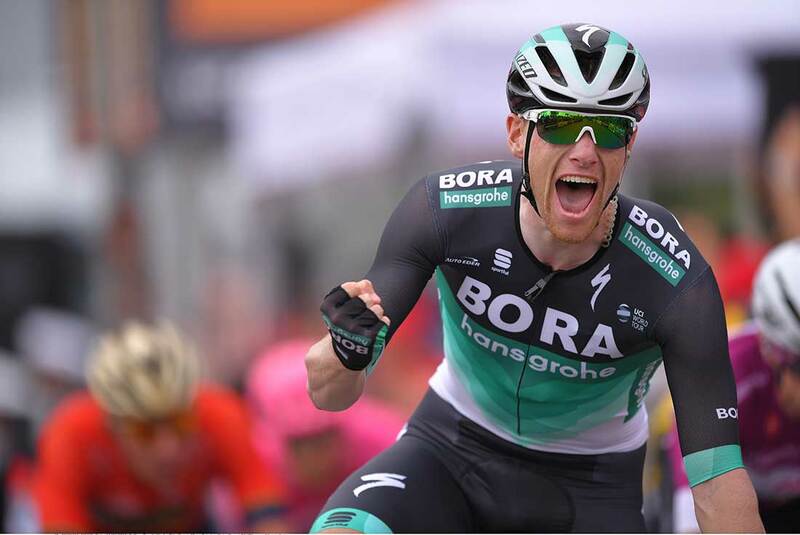 With a swift kick to the line, Sam Bennett dethroned the Giro d’Italia’s reigning king of sprints, winning his first grand tour stage Friday in stage 7 to Praia a Mare. The day’s outright favorite Elia Viviani (Quick-Step Floors), winner of stages 2 and 3 and leader in the points classification, had to settle for second place behind Bora-Hansgrohe’s Irishman. Sacha Modolo (EF Education First-Drapac) was third on the day. Simon Yates (Mitchelton-Scott) kept the pink leader’s jersey, which he claimed in stage 6 with a second-place result on the Mount Etna volcano. 2. Elia Viviani (Quick-Step Floors), s.t. Friday’s 159km stage was destined to be a sprint finish. Although a few breakaways animated the day, the group was all together coming into the final five kilometers. LottoNL-Jumbo and EF Education First-Drapac were particularly assertive in the final kilometers. As the race swung left onto a 1.8km straight along the coast into the finish, a number of sprinters jockeyed for position at the front. LottoNL riders again reasserted their position at the front with one kilometer left. Just five wheels back, Viviani appeared perfectly positioned to take his third victory in this Giro. Modolo opened up the sprint along the left barriers. Viviani was right on his wheel and jumped, quickly passing his countryman in the final 200 meters. However, Viviani hadn’t accounted for Bennett, who was right on his wheel. Bennett said it was key to be patient in the windy sprint finish. He made one final kick in the final 100 meters to win the day, his first victory of 2018 as well. After a respite in stage 7, the GC favorites will have a busy weekend ahead with two mountain stages. Saturday’s stage 8 will be long at 209 kilometers with a Cat. 2 finish on Montevergine di Mercogliano. 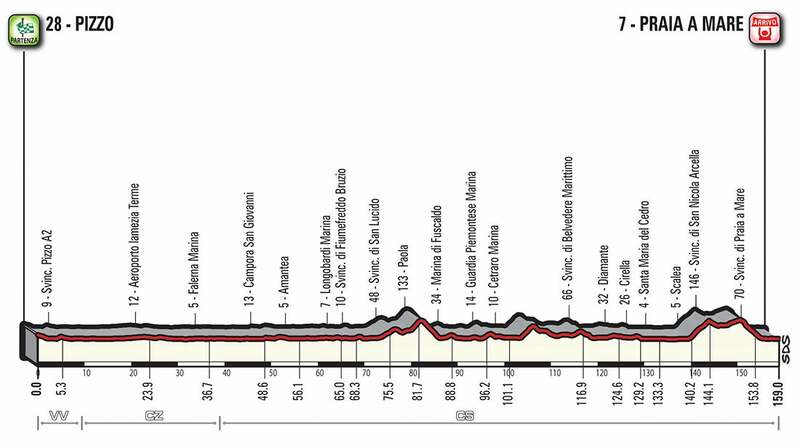 Sunday is even more severe at 225km with a summit finish on Gran Sasso d’Italia. Yates says he will take a wait-and-see approach to the weekend’s climbs, but he knows he’ll need to find opportunities to pad his overall lead. “We’ll see how the start of the stage goes,” Yates added. “Maybe it’s a big breakaway again; maybe it’s a day for the GC guys. If I have good legs maybe I can try something. I still have to gain some time in the guys who are fast in the time trial. It’s just 15 seconds to Tom [Dumoulin] — still some work to do.